구굴도는 전라남도 소흑산도에서 약 2.5㎞ 떨어져 있으며 소구굴도 및 개린여와 대구굴도로 구성되어 있다. 해안은 절벽으로 둘러싸여 있고, 해발 30m까지는 노출되어 있으며, 경사가 가파르다. 뿔쇠오리는 일본과 한국의 난류해역에 분포하며, 몸길이는 20㎝ 정도이다. 앞머리는 검은색이고 등은 진회색이며 배는 흰색이다. 댕기처럼 생긴 검은 띠가 있으며 다른 오리와 달리 어깨에 줄무늬가 없다. 해안이나 암초에 집단으로 번식하며 풀이 무성한 곳에 구멍을 파고 알을 낳는다. 한국에서는 유일하게 이곳에서만 번식이 확인되었다. 바다제비는 몸길이 19㎝ 정도로 암수 모두 몸 전체가 짙은 갈색이고 부리와 다리는 검은색이다. 둥지는 마른풀, 낙엽을 깔거나 맨땅을 그대로 이용해서 섬 바위틈이나 땅굴에 만든다. 슴새는 몸길이 48㎝ 정도로 암수 모두 머리와 등은 검은 잿빛을 띠고, 얼굴·목·배는 흰색이다. 얼굴과 머리에는 흰점이 많이 있으며, 부리는 흰빛을 띤 회색이다. 낮에는 먼바다에서 무리를 지어 생활하며 번식지에는 해가 진 후에 돌아온다. 구굴도 해조류 번식지는 뿔쇠오리, 바다제비, 슴새 등 매우 희귀한 여름철새들이 이동하는 길목에 있는 휴식처이자 번식지로서 학술적 가치가 높아 천연기념물로 지정·보호하고 있다. 현재 신안 구굴도는 바닷새류 번식지 보호를 위해 공개제한지역으로 지정되어 있어 관리 및 학술 목적 등으로 출입하고자 할때에는 문화재청장의 허가를 받아 출입할 수 있다. Guguldo Island is about 2.5km away from Soheuksando Island. 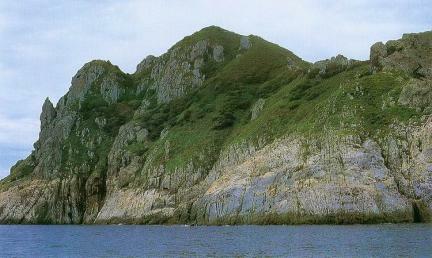 It consists of Daeguguldo, Soguguldo and other small islands. Located up to 30m above sea level, it is surrounded by rock cliffs. 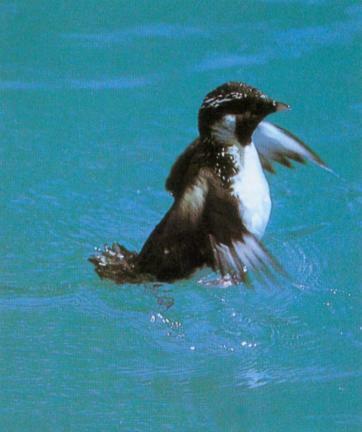 The Crested Murrelet lives in the warm-current seas of Japan and Korea. It is 20cm from head to tail; its forehead is black, the back is dark grey, and its belly is white. Unlike other ducks, it does not have lines on the shoulder. 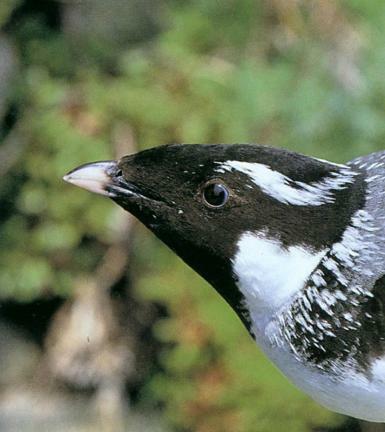 This bird breeds in groups on the coast or rocks. 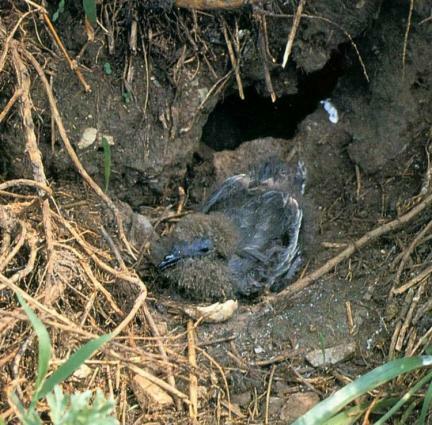 It digs a hole and nests where there is thick grass. Guguldo Island is the only place where the species breeds in Korea. 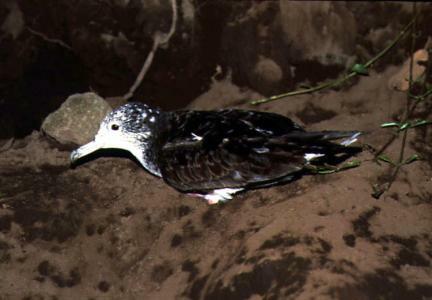 The Stormy Petrel is about 19cm long from head to tail. 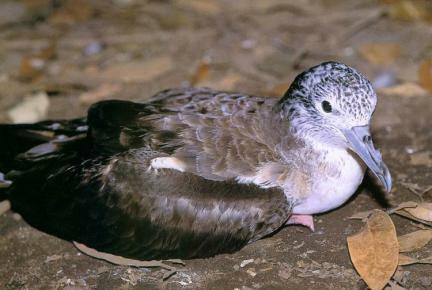 Both male and female are dark brown, and the beak and legs are black. 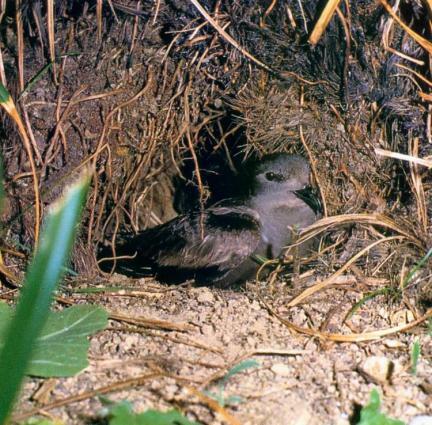 It nests between the rocks using fallen leaves and soil or digs a hole in the ground. 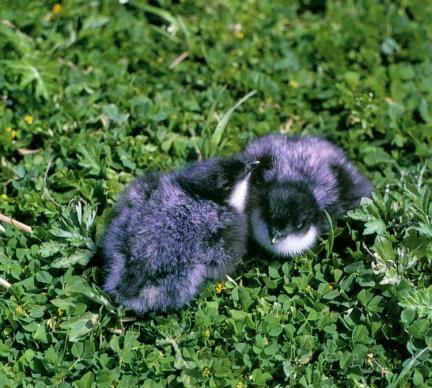 The shearwater is about 48cm long from head to tail. Both male and female have dark grey head and back, but their face, neck, and belly are white. It has many white spots on the face and head. The beak is light grey. 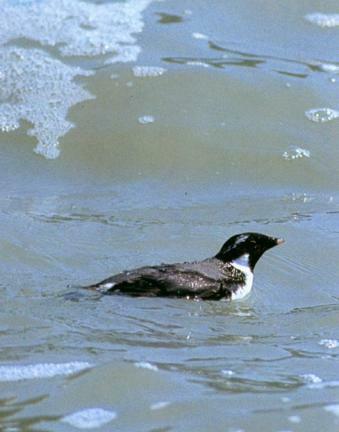 During daytime, it lives in groups in the distant sea and returns to the nest after sunset. The breeding place of sea birds on Guguldo Island is also a resting and breeding place for Crested Murrelets, Stormy Petrel, and Shearwater during summer and is also biologically valuable. Therefore, it is designated and protected as a Natural Monument.